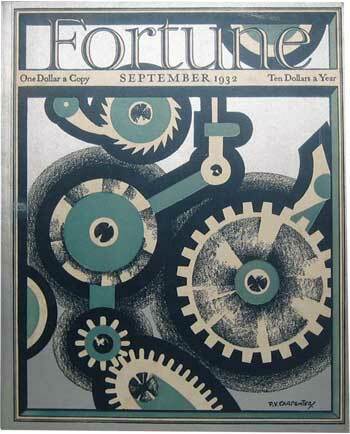 Today Fortune is one of any number of glossy business magazines that take us behind the scenes of Silicon Valley's technology firms and endlessly analyze the performance of global corporations that shape our world. 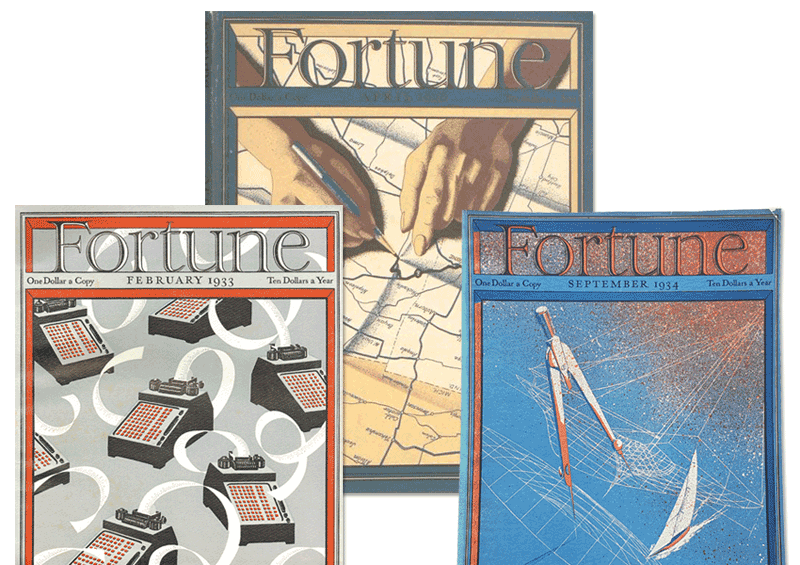 It's largely forgotten that more than 80 years ago Fortune was a pioneering force in business journalism and famous for its use of beautiful art. 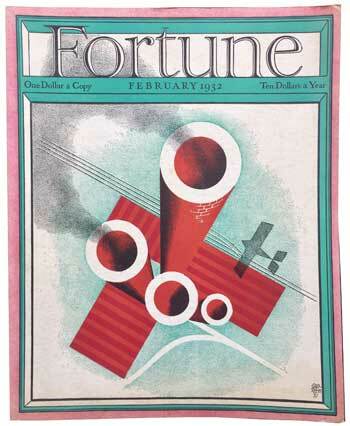 Yes, Fortune used art to sell stories about business. 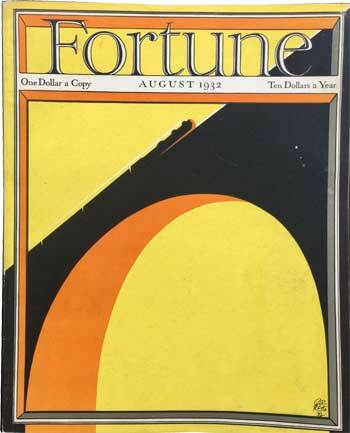 Fortune Magazine was launched in February 1930 by the legendary American publisher Henry Luce, who had already helped to launch Time in 1923 and would go on to work with Life and Sports Illustrated. 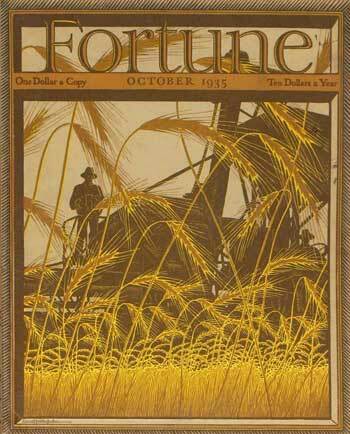 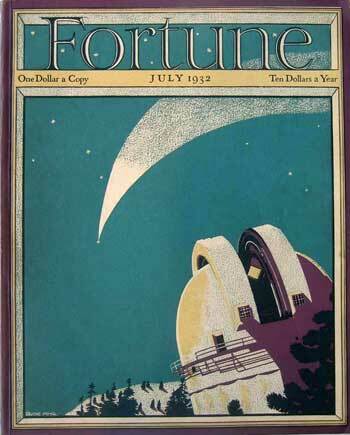 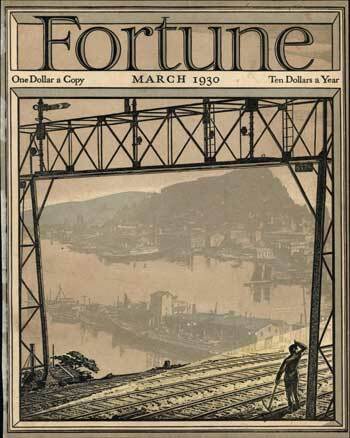 Fortune's covers in its early years are probably the most beautiful things I have seen associated with any periodical that I have encountered in my life, and I've read a lot magazines. 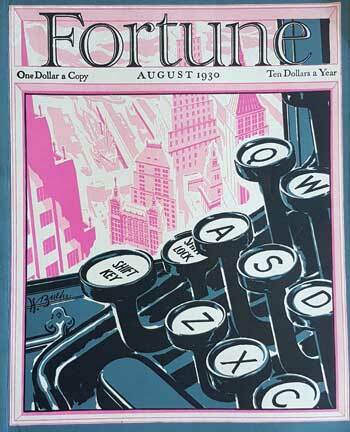 Luce and his team commissioned numerous leading artists and illustrators to produce cover artwork that captured the essence of business in America during the 1930s. 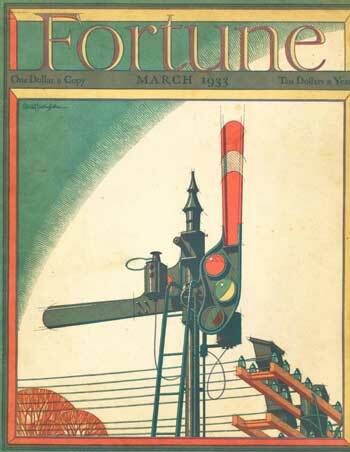 Heavy industry, railways, the fledgling aviation sector, farming, automobiles, infrastructure, and even humble office work were captured by illustrations that vary in style from Art Deco to modernism to hyper-realism. The use of color to bring factory or agricultural scenes to life is stunning. 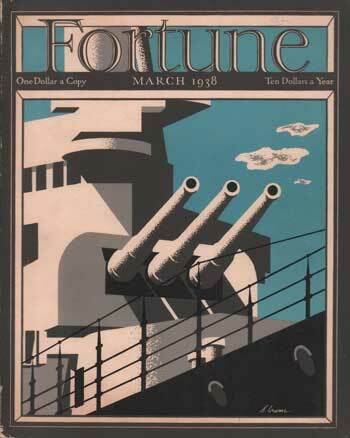 Luce submitted the idea for Fortune to the board of Time Inc in February 1929 and wrote: "The new magazine will be as beautiful a magazine as exists in the United States. 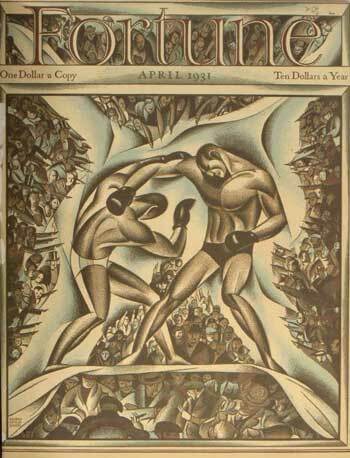 If possible, the undisputed most beautiful." 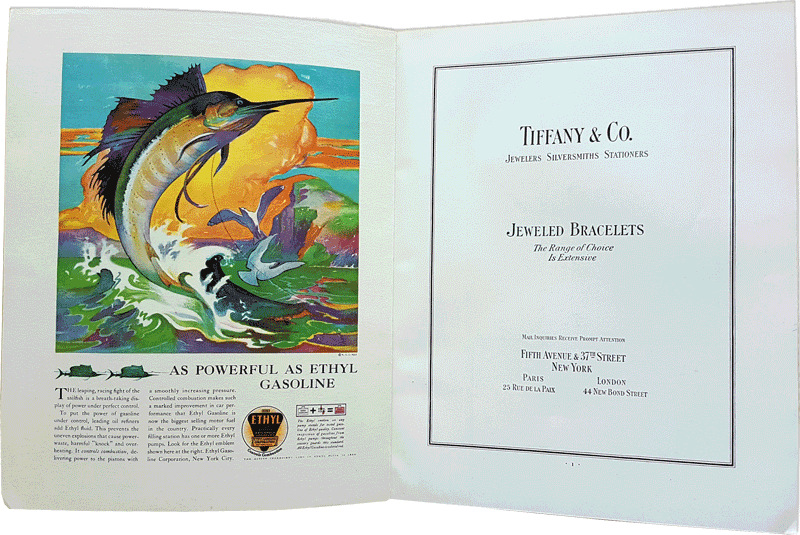 His plan was to create a "majestic" look and promised advertisers that "every page will be a work of art." 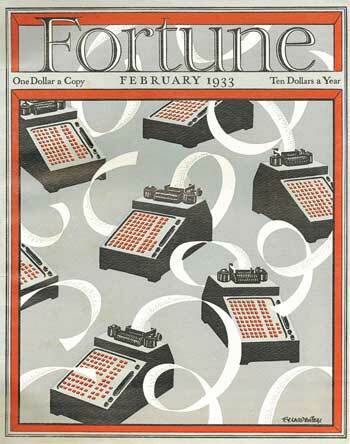 Twenty-nine-year-old Parker Lloyd-Smith became the first managing editor of Fortune. 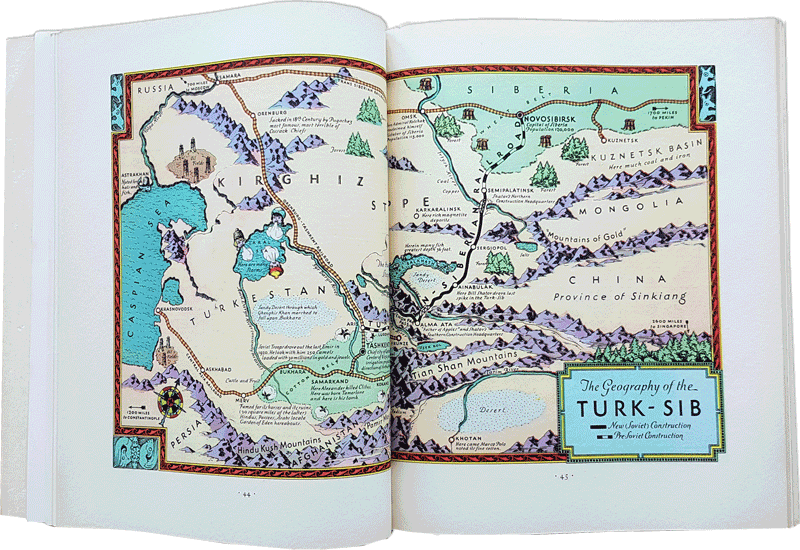 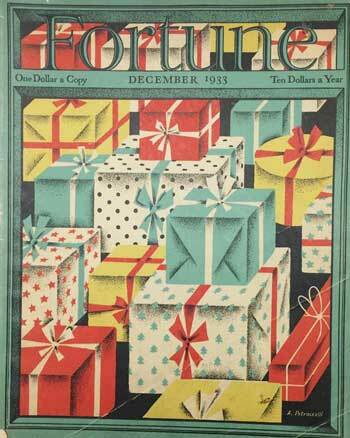 Book illustrator Thomas Maitland (T.M) Cleland was hired to design the magazine's template. 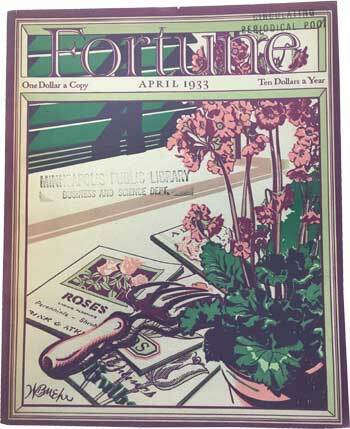 Lloyd-Smith felt the full force of Cleland's genius when the artist sketched out his vision for the magazine's first cover on a tablecloth in a New York speakeasy. 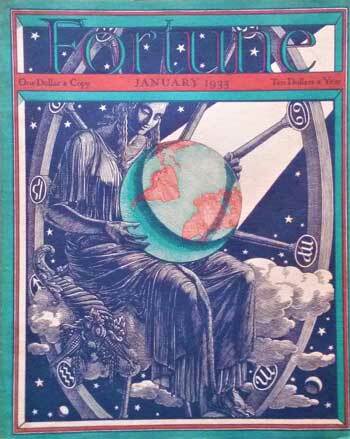 The sketch still hangs on the wall of the Time building in New York and amazingly Cleland drew his vision upside down on the cloth so Lloyd-Smith, who was sitting opposite, did not have to move from his chair. 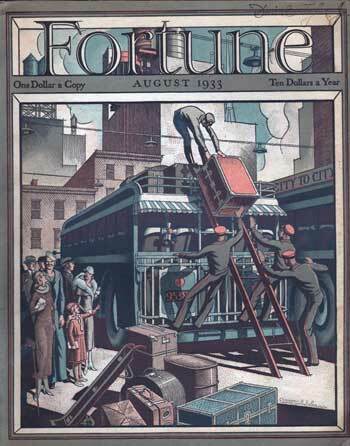 In October 1929, the Stock Market crashed and the Great Depression began - not the greatest timing for Luce and his team, but they carried on regardless. 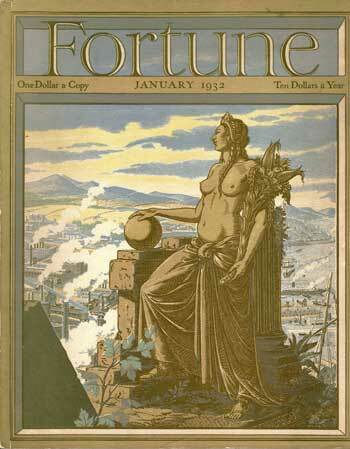 The cover price was $1 - a large sum of money in 1930. 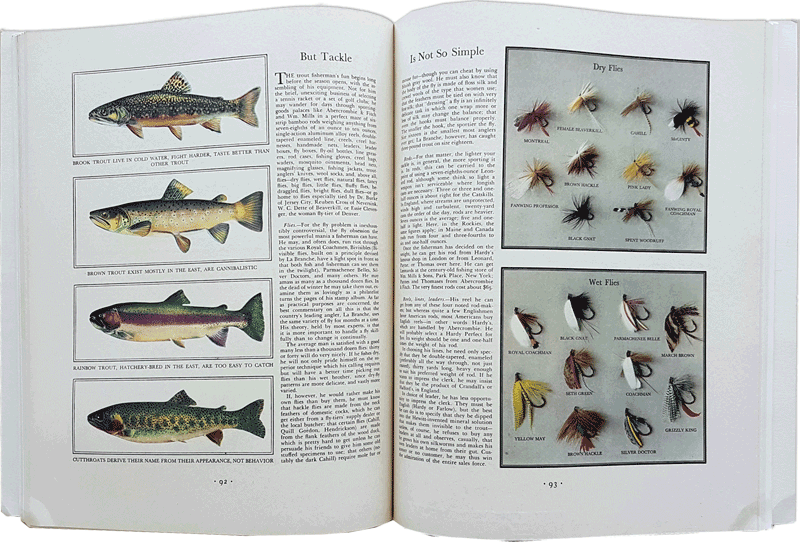 The magazine was substantial - 11 x 14 inches and half an inch thick. 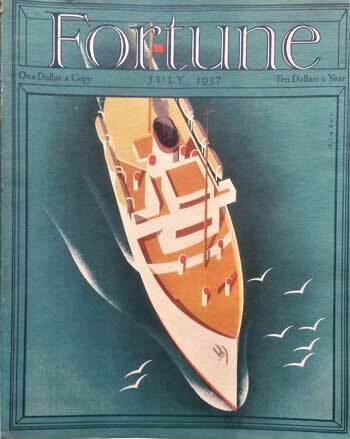 That robust size and the stiff covers means many of these magazines from the 1930s have survived remarkably well. 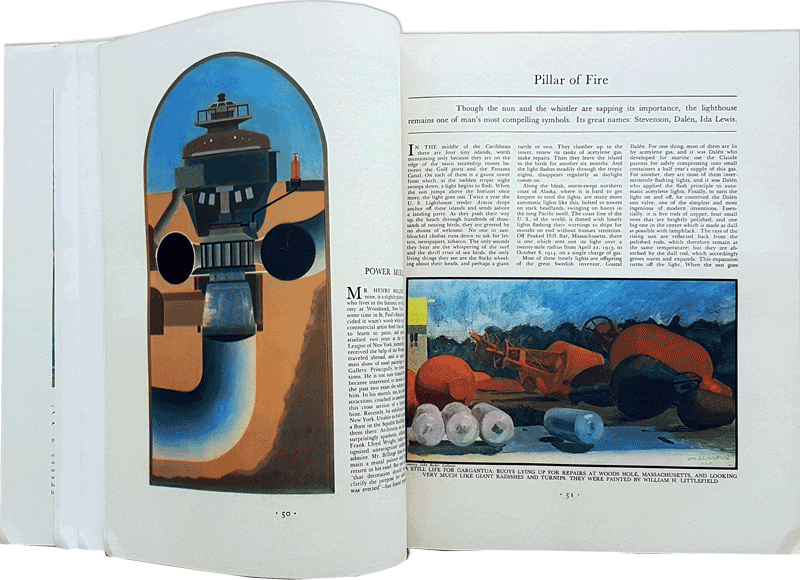 The inaugural issue featured stunning industrial photography from Margaret Bourke-White, who would go on to become one of the greatest documentary photographers of the 20th century. 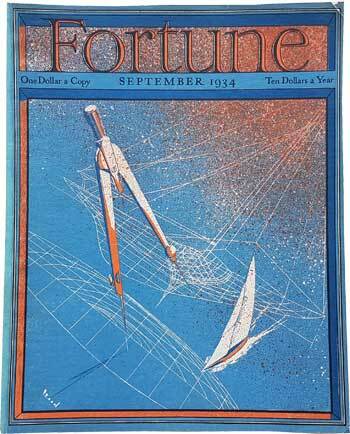 The writers were hired for their writing ability alone - they needed no interest in business or economics. 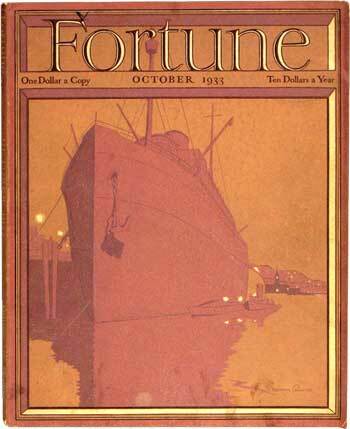 Archibald MacLeish, who went on to win Pulitzer Prizes for poetry and drama, detested business. 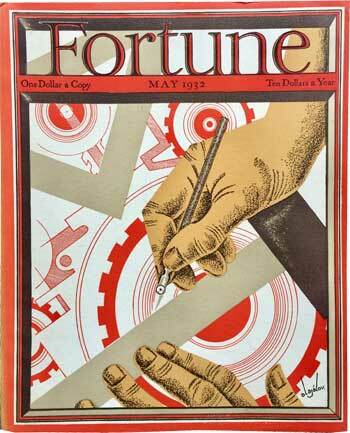 Another writer Dwight MacDonald was a Trotskyite. 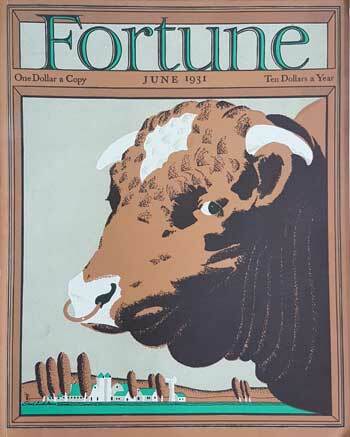 James Agee was another poet who wrote for Fortune - his classic book on the Depression, Let Us Now Praise Famous Men, started as an article in Fortune. 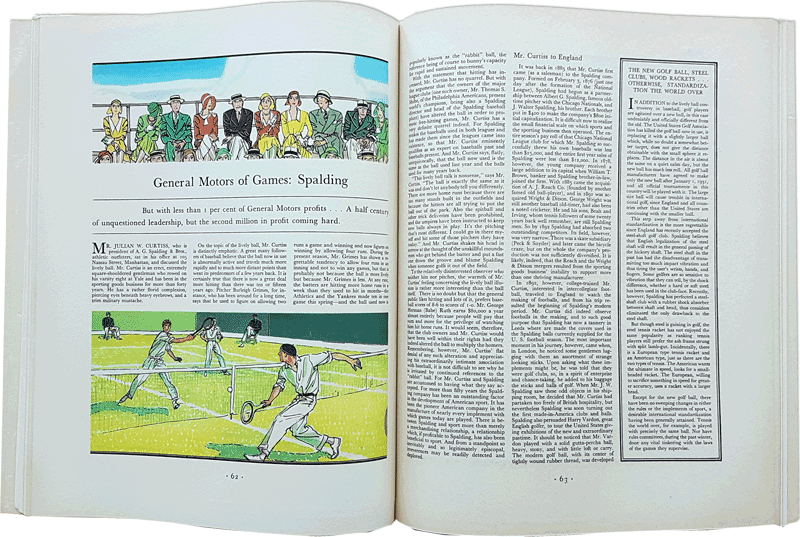 These writers strove to make business interesting to a wide audience even though major businesses revealed few facts and figures about themselves at this time. 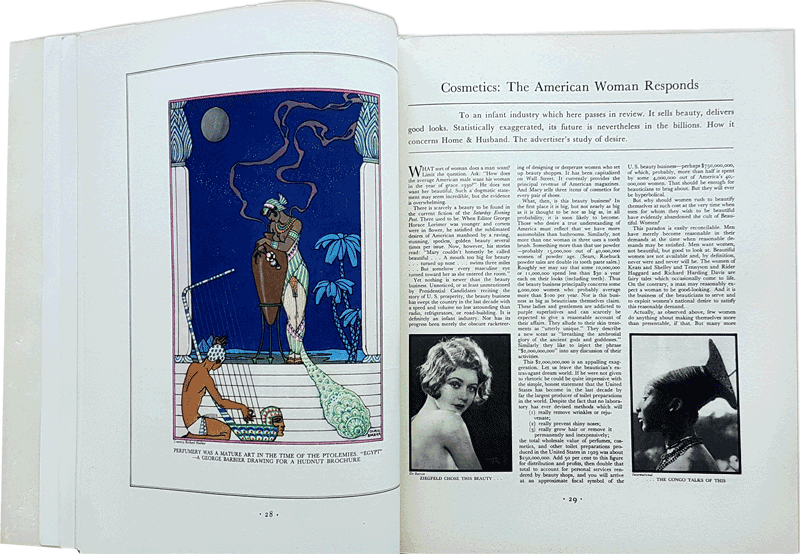 The magazine's next art director was a woman, Eleanor Treacy. 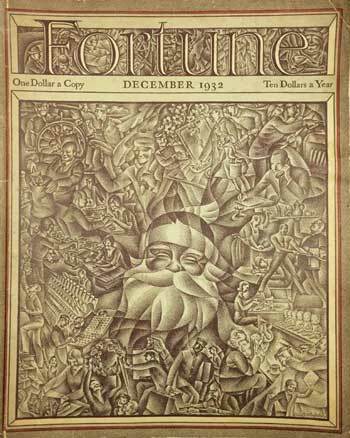 She fulfilled Luce's dream by commissioning interior artwork from the likes of Reginald Marsh, John Steuart Curry and Ludwig Bemelmans. 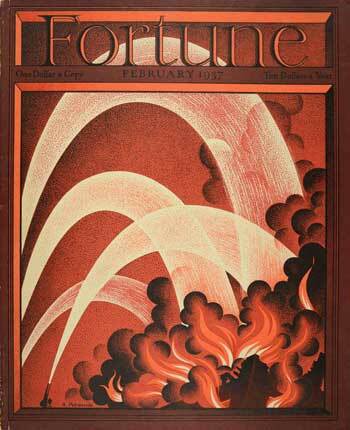 She hired leading artists like Diego Rivera, Constantine Alajalov and AM Cassandre to design the covers. 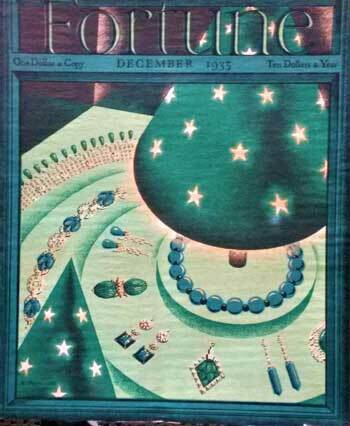 She spotted the genius of a 26-year-old called Antonio Petruccelli who went on to contribute more than 20 covers in the 1930s. 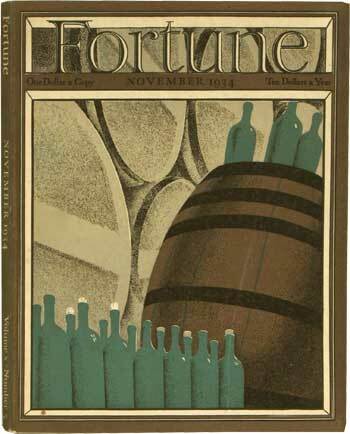 Fortune: The Art of Covering Business, published in 1999, is a book that describes the launch and evolution of Fortune and displays numerous eye-catching covers that made this magazine famous. 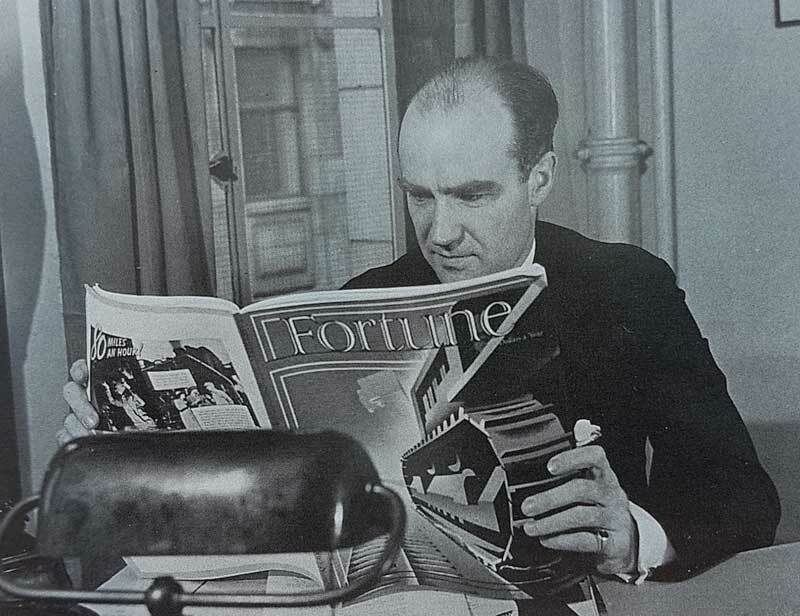 Learn more about Henry Luce in The Publisher: Henry Luce and His American Century by Alan Brinkley. 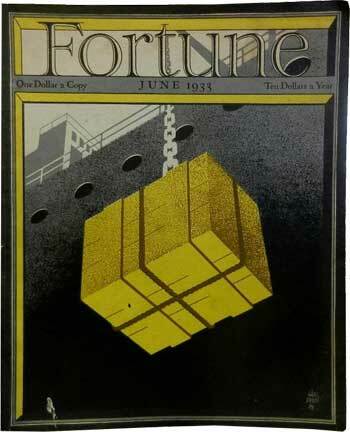 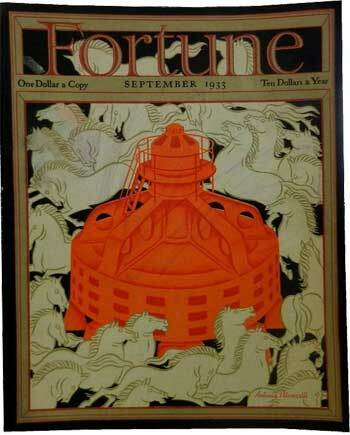 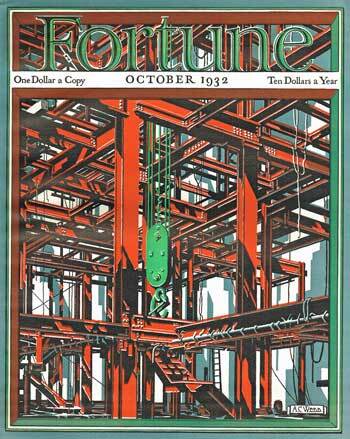 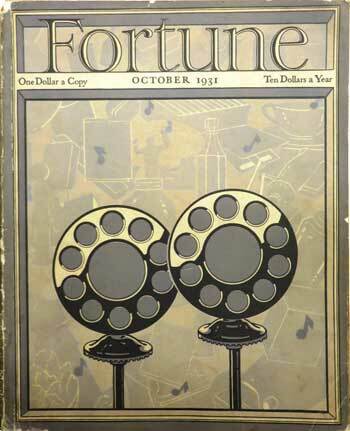 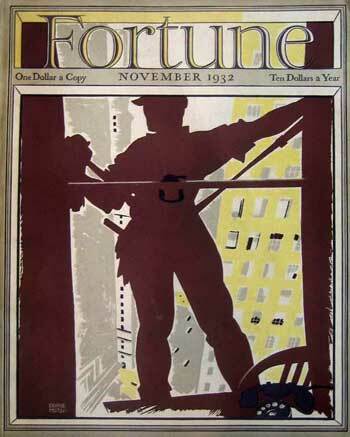 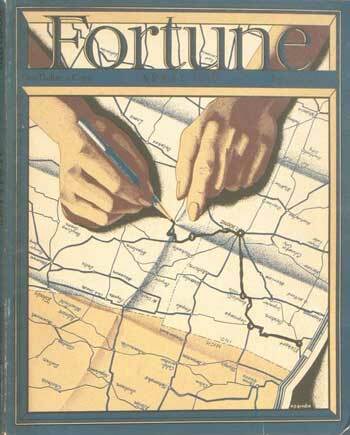 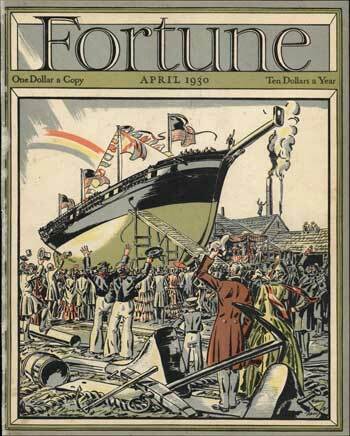 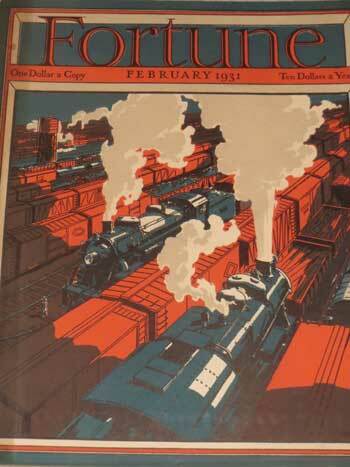 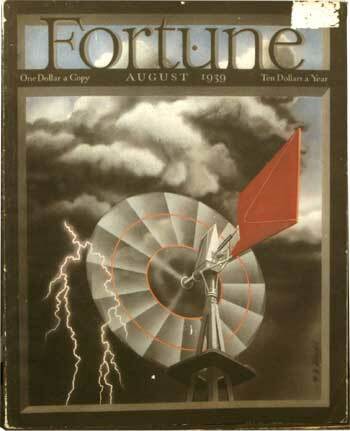 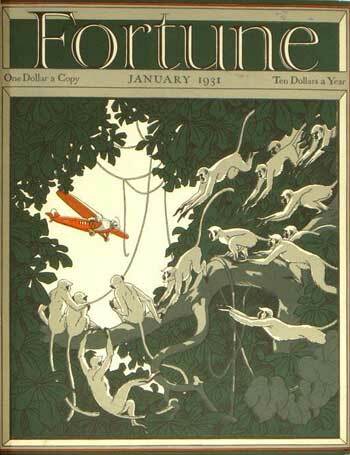 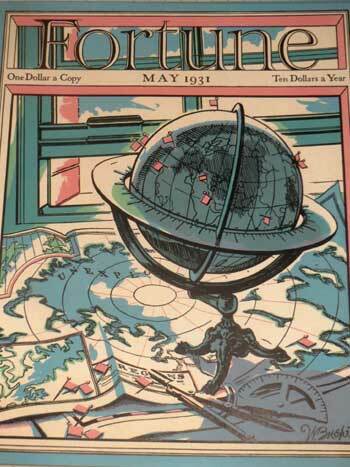 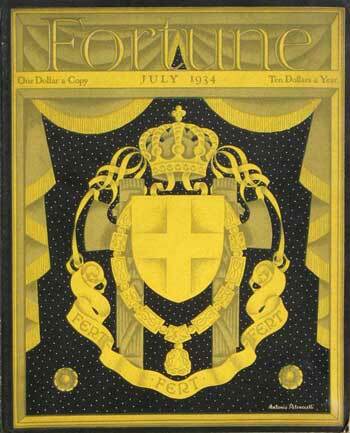 Find vintage copies of Fortune Magazine from 1930-1939. 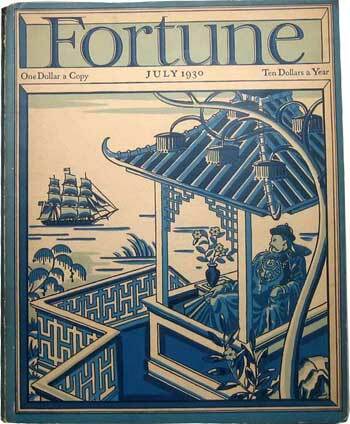 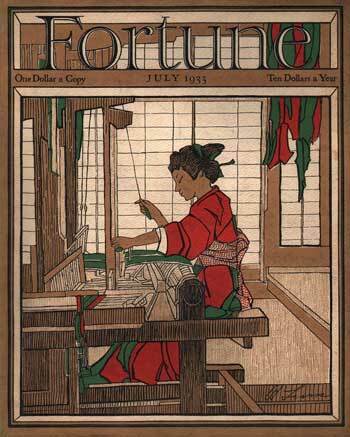 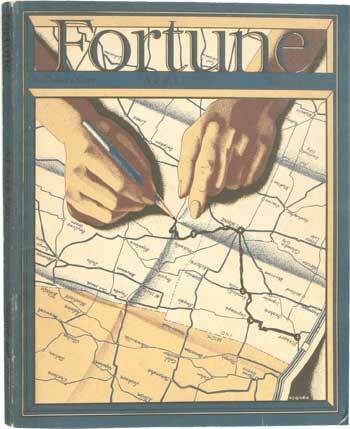 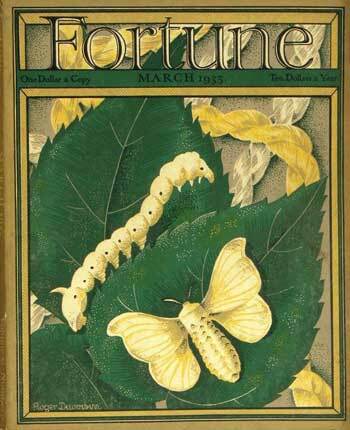 Find vintage copies of Fortune from 1940-1949.